The comprehensive biography of STAN LEE, father of SPIDER-MAN and THE AVENGERS, beloved comic book writer and editor, and former president and publisher of Marvel Comics, by Lee's colleague of over four decades. Stan Lee co-created SPIDER-MAN! And IRON MAN! And the HULK! And the X-MEN! And more than 500 other iconic characters! His name has appeared on more than a billion comic books, in 75 countries, in 25 languages. His superheroes have starred in multibillion-dollar grossing movies and TV series. This is the story of how Stanley Martin Lieber, a poor kid from Washington Heights became STAN LEE, international legend. 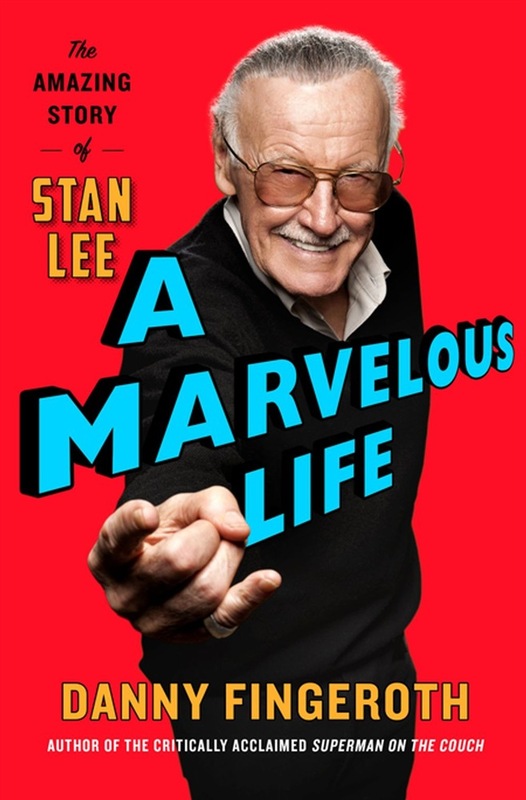 Danny Fingeroth (comics industry veteran, author, and longtime Stan Lee friend and colleague) writes a comprehensive biography of this powerhouse of ideas who changed the world’s understanding of what a hero is and how a story should be told, while exploring Lee's unique path to becoming the face of comics. With behind-the-scenes stories and sourced with exclusive, new interviews with Lee himself and other legendary comics and media figures, A Marvelous Life has insights and revelations that only an insider like Fingeroth can offer. Fingeroth, himself a longtime writer and editor at Marvel Comics and now a lauded pop culture critic and historian, knew and worked closely with Stan Lee for over forty years. Fingeroth is able to put Lee’s life and work in a context that makes events and actions come to life as no other writer could. Acquista A Marvelous Life in Epub: dopo aver letto l’ebook A Marvelous Life di Danny Fingeroth ti invitiamo a lasciarci una Recensione qui sotto: sarà utile agli utenti che non abbiano ancora letto questo libro e che vogliano avere delle opinioni altrui. L’opinione su di un libro è molto soggettiva e per questo leggere eventuali recensioni negative non ci dovrà frenare dall’acquisto, anzi dovrà spingerci ad acquistare il libro in fretta per poter dire la nostra ed eventualmente smentire quanto commentato da altri, contribuendo ad arricchire più possibile i commenti e dare sempre più spunti di confronto al pubblico online.